If you're looking for outstanding opportunities for both outdoor photography and recreation, Glacier National Park in northwestern Montana ought to be on your list. The park's one million plus acres includes spectacular mountains and lakes, 700 miles of trails and a wide variety of ecosystems, from sub-alpine tundra to dense forests reminiscent of the Pacific Northwest. Glacier is also home to one of the most spectacular scenic drives in the world, the Going-to-the-Sun Road. Bisecting the heart of the park, the 50 mile drive crosses the Continental Divide at Logan Pass, a great spot for a hike to photograph plants and wildlife not seen in many other parts of the U.S. The trail to Hidden Lake overlook is popular and busy, but is still a good spot to get photos of ptarmigan and mountain goats. The sub-alpine habitat at higher elevations is extremely fragile, so be sure to stay on the boardwalk or other maintained trails. Due to heavy winter snows, much of this road is typically open only from about mid-June through mid-October. Check http://www.nps.gov or phone 1-800-226-7623 from outside Montana (call 511 within the state) for current road conditions. If you plan to drive the Going-to-the-Sun Road, be aware that a major road rehabilitation project begins in 2006, so there will be some traffic delays, and portions of the road may be closed after mid-September. Almost every pull-out along the road provides photo ops, but my personal favorites are near the eastern end of the drive. Take the turnoff to Sun Point and walk a short distance for great views of St. Mary Lake and the surrounding peaks. There are plenty of other great spots with easy road access if you want to avoid the congestion on the Going-to-the-Sun Road. On the eastern side of the park, the Many Glacier and Two Medicine areas offer the chance for some classic "mountains reflected in the lake" shots. For the best chance for a mirror-like surface on the water, get up early in the morning when the wind is usually calmer. Want to photograph wildlife? Glacier is home to more than 260 species of birds and over 70 species of mammals, including elk, moose, mountain goat, bighorn sheep, and of course both black and grizzly bear. You'll be fortunate if you see a bear, but sightings of other wildlife are more common. Be sure you give those large animals the respect and distance they deserve, and check with rangers for safety tips for dealing with wildlife. The northern Rockies are serious winter country, which means that peak visitation is crammed into a short summer season. If you like crowds or are constrained by school schedules, just join the hoards from late June through early August. Even then, you can find solitude if you're willing to venture a short distance off of the main roads. One advantage of a July and August visit is the chance for some great wildflower shots. Now for your insider's tip: If your schedule is flexible, plan a visit from late August into September. With schools now starting by mid-August in many areas, visitation to the park drops dramatically after that time. Although the weather is always a wildcard in these northern mountains, most days during the late summer and early fall are delightful. That unique gold of fall aspen leaves can provide some great views, usually starting in late September. If you plan a visit during this time period, just be prepared for the possibility of an occasional early snow, and realize that some visitor facilities in the area will already be closing for the season after Labor Day. 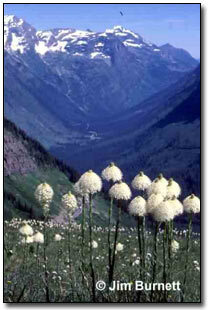 For plenty of details about this world-class area, visit the park's official website at www.nps.gov/glac. 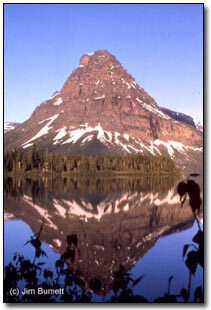 I'll predict that no matter how long you stay at Glacier, you'll wish you had more time!